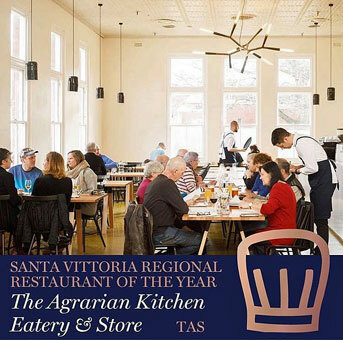 THE Agrarian Kitchen Eatery and Store at Willow Court has been named Australia's Regional Restaurant of the Year in the inaugural national Good Food Guide awards for 2018. Published in various mainland states over the last 38 years, the Good Food Guide has been turned into a single national publication for 2018, featuring 500 restaurants from Hobart to Darwin and Brisbane to Perth. 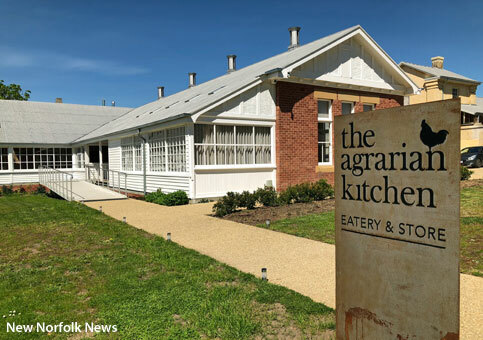 Deeming The Agrarian Kitchen Eatery & Store to be the best dining destination outside the metropolitan zone, the publication said the restaurant housed in the former New Norfolk asylum provided an experience comparable to anything in the city, while remaining uniquely regional. "While fresh on the Tasmanian scene, The Agrarian Kitchen Eatery & Store has deeply established roots through Rodney Dunn and Severine Demanet’s Derwent Valley cooking school, The Agrarian Kitchen," the Good Food Guide said. This is the first time a restaurant outside New South Wales, Victoria or Queensland has received the regional restaurant of the year accolade. B Ward/Bronte House at Willow Court in New Norfolk. "This is a true honour for Rodney and I, as we had said that we would never open a restaurant," Severine Demanet wrote on Facebook today. "But after 10 years of being in Tasmania and operating The Agrarian Kitchen Cooking School & Farm, the temptation grew too much. The plan was to create a place to eat that allowed diners to experience the best of the seasonal food we enjoyed ourselves. "The path to opening a restaurant is never easy and we couldn’t have opened The Agrarian Kitchen Eatery & Store without the support of our amazing team. We feel that we have created a place that we are all very proud to be part of," Ms Demanet wrote. "A huge thank you to all of our staff who have become part of our Agrarian family - who work so hard each week to make this dream a reality for us all. A big thank you to all our diners who have supported us since we opened and to the community within our small town of New Norfolk for welcoming and supporting us from day one."